So it’s been a while! My apologies. The New Year brings a lot of changes and it sometimes takes a while to get back to normal and get your priorities back in order. No more excuses. I’m back to give my humble advice and tips on cooking for the man of a certain age. It dawned on me that perhaps I put the cart before the horse or in sports terms I put the receiver before the quarterback. 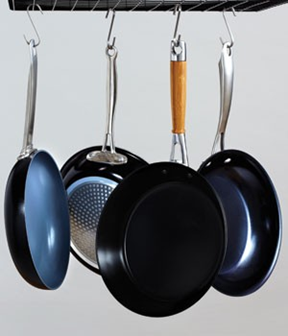 Before you can really showcase your cooking chops, you need to have the right equipment. The following are my list of what I feel are ‘must-haves’ for any aspiring chef. Professional or otherwise. You need a good non-stick frying pan. I have a few of different brands and sizes, but you can always get away with 1 good one. Don’t scrimp here Fellas, when it comes to cooking supplies, you usually get what you pay for. Conversely, you don’t get what you don’t pay for and that usually translates to a lot of ruined meals and a lot of work cleaning up. When shopping, I find it helps to read reviews on the internet. Look for a brand with a warranty of 2 years or more. This shows the manufacturer stands behind their product. Look for sturdy construction. Check to see that the handles are riveted to the pan. If possible, shop at a place that’s known for cookware and ask the sales people for help. Pots are another must have. I have several, but at a minimum, you need 3. A large stock pot for pasta, stews, soups, chilli etc., a medium-sized pot for smaller soups and pastas and the like, and a small pot for sauces and gravies. You can accumulate each piece separately which will cost you if you want quality, or you can usually buy some really nice 5-10 piece sets at a reasonable price. Again, it’s important to do your research and find what’s best for the $$, but remember this, if you buy the right one, you may never have to buy it again. A good quality set of pots will last for years if taken care of. 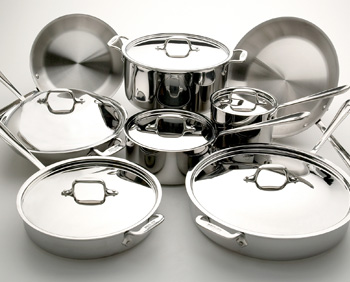 If you can find it, and you’re not scared off by the cost, you can’t go wrong with ALL-Clad. This is the brand professional chefs use! I have several kitchen power tools/toys, but if I was in an Armageddon situation and only had seconds to pack before the apocalypse, I would take my food processor. 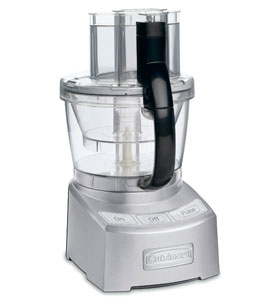 A good food processor is a MUST for the home chef. 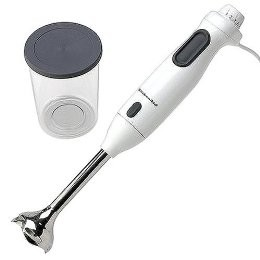 It does everything, it chops, slices, dices, purees and you can even make dough in it. You can’t make a pesto or a good tomato sauce without one, and it can chop vegetables and grate cheese in seconds. It is in my opinion, the most versatile kitchen utensil I own. I have a good one, not a great one, but a good one. It’s reliable, and it’s just big enough to do almost everything I ask of it. 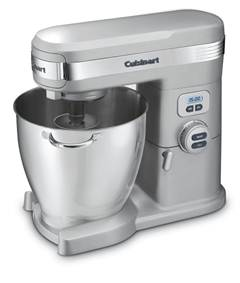 I have a Kitchen-Aid, but I’ve been eyeballing a new Cuisinart. Again, research is your friend. A good processor is gonna cost north of $200.00, but if you research the brand and model and choose wisely, you will have it around for years to come and it will be reliable and irreplaceable. Beware of the bargain priced processor or the one from the info-mercial that you woke up to at 3am after a drinking binge, these are no match for a good quality power tool. A stand mixer, for doughs and desserts. Take my advice fellas, if you want to impress that special someone, nothing impresses more than a home-made dessert. And most good desserts require a mixer. An immersion blender can make sauces and soups so much easier, since they can puree a mixture right in the pot you cooked it in. 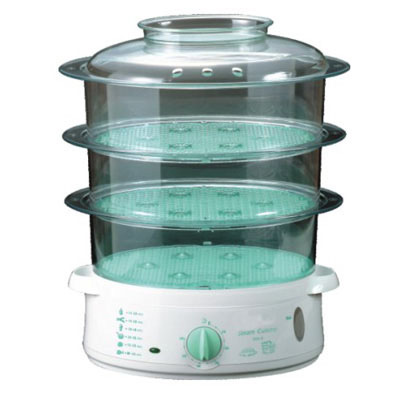 A steamer can make vegetables, fish and even rice an easy and incredibly healthy meal or side dish since you steam the food rather than fry or cook it in fat. Just like any good Samurai, or well-trained assassin there is one item no chef can live without and that is his blade. A good well-rounded chef will have an armada of swords he can wield with precision , but every aspiring chef must have a least one good sharp knife at his disposal. 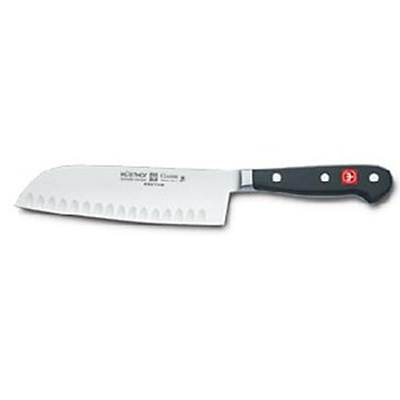 There are thousands of different types out there from the bread knife to the meat cleaver but if I had to choose only one it would be my ‘chef’s’ knife. A chef’s knife can do just about everything. I have over 50 knives at my disposal, but I use my chef’s knife more than 85% of the time. This is the single most important item in the kitchen. You will use it more than any other item with the exception of perhaps your favourite beer glass. Quality is the key here again. A good knife will last for years if properly cared for. When shopping, do the usual research, but also try it out. You want to find a knife with good balance that feels comfortable in your hand. You’ll be handling it a lot so you want one that feels right. There are thousands of other kitchen utensils, tools and gadgets out there and I try to expand my collection whenever I get the chance, but I feel the items I’ve outlined here are if nothing else, a good firm basis for an aspiring chef to build on.